Congress Is Back. Its Mission? Keep Government Open. Lawmakers in both chambers are pushing legislation that would move Congress from an annual budget process to a two-year cycle to provide greater stability for federal agencies. Biennial budgeting would require Congress to enact a two-year budget during its first session, and then focus on oversight of government programs, authorizing legislation and necessary measures to respond to emergencies or unforeseen events during the second session. Currently, the House and Senate have nine months to agree on and pass a budget as well as 12 separate appropriations bills funding the government. Since 1980, Congress has only twice completed the appropriations process before the annual Oct. 1 deadline. Sens. Johnny Isakson, R-Ga., and Jeanne Shaheen, D-N.H., on Thursday introduced legislation in the upper chamber to switch to a two-year budget cycle; Rep. Joe Wilson, R-S.C., unveiled a similar bill in the House last week. “Moving from a one-year to a two-year budget process will allow Congress to devote more time and attention to the wasteful programs and policies that need reform,” Wilson said. Isakson has filed the bill as stand-alone legislation and as an amendment to the continuing resolution to fund the government through fiscal 2013. The Senate is considering amendments to the CR on Thursday, with a final vote on the legislation expected on Friday. This is not the first time that Congress has considered shifting to a modified budget schedule. But the epic budget battles during the past two years, an out-of-control deficit, and the automatic across-the-board spending cuts that took effect March 1 have made the need for reform more urgent. Isakson and Shaheen sponsored legislation moving to a two-year budget cycle during the last Congress. 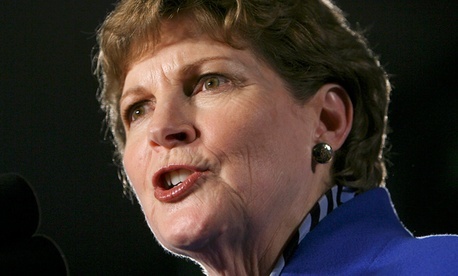 The Georgia senator has sponsored biennial budgeting proposals since 2005, and Shaheen is familiar with biennial budgeting during her six-year tenure as governor of New Hampshire. Many state, local and foreign governments operate under biennial or multi-year spending cycles. Currently 20 states operate under on a biennial budget cycle. The cons to biennial budgeting could include less flexibility for agencies since they would have to plan their budgets two years in advance and an increase in the number of supplemental appropriations bills. But supporters of the idea have said the advantages of moving to such as process outweigh the potential drawbacks.